Once Upon a Twilight! : #SaltLakeCity Grab Passes to Whiskey Tango Foxtrot #WTFTheMovie 3/1! 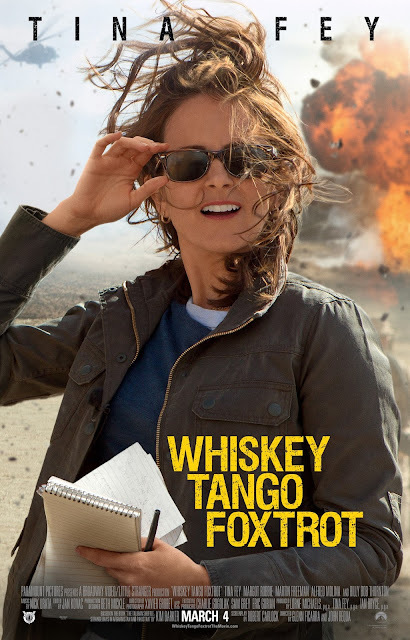 #SaltLakeCity Grab Passes to Whiskey Tango Foxtrot #WTFTheMovie 3/1! Do you want to see WHISKEY TANGO FOXTROT before it hits theaters? Well click on the poster for your chance to download an admit-two screening pass for an advance screening on Tuesday, March 1st at 7:00PM in Salt Lake City! Seats in the theater are first-come, first-serve so PLEASE ARRIVE EARLY! WHISKEY TANGO FOXTROT opens everywhere on March 4th.